RUPES BigFoot 6� Foam Polishing Pad Mix & Match 4 Pack gives you the choice of any four RUPES BigFoot 6� Foam Polishing Pads in a fantastic bundle! Choose just what your need for your polishing project. 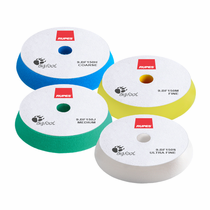 The RUPES BigFoot 6� Foam Polishing Pads have an advanced resin cell structure to offer excellent results in less time while reducing the amount of polishing compound needed. 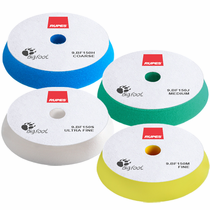 The RUPES BigFoot 6� Foam Polishing Pads strategic center hole design is for ventilation through the channels in the face of the RUPES BigFoot 5" Backing Plate to prevent heat build-up and allows for minimal pressure for optimum results in less time. Remove polishing compound buildup RUPES BigFoot Foam Polishing Pads during use with RUPES Claw Pad Removal & Cleaning Tool. 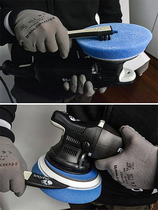 Wash RUPES BigFoot Foam Polishing Pads in warm water with mild soap by hand or washing machine. DO NOT USE Fabric Softener of any kind.